Mega Sale! 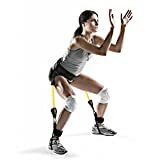 Up to 25% off on Jumping Trainers at Hit The Ice Box. Top brands include Pseudois, Wandofo, & TITAN FITNESS. Hurry! Limited time offers. Offers valid only while supplies last. 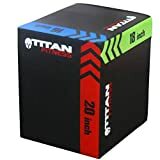 Titan 3-in-1 Heavy Foam Plyometric Box 16" 18" 20"